After Praja Rajyam was merged with the Congress, Yuva Rajyam was disbanded but Ravitej remained good friends with Pawan Kalyan. Hyderabad: While launching his Jana Sena party last Friday, Pawan Kalyan had mentioned that he was helped a lot by his “good friend” Raju Ravitej. Since the name was new to us, we were curious to know more about the person who is apparently the architect behind the party. When Pawan was looking after Yuva Rajyam, the youth wing of elder brother Chiranjeevi’s Praja Rajyam Party, he had inducted a few young people including Siddharth Goud, Dr Sravan Kumar, Pramod Reddy and Raju Ravitej, to work for the Telangana wing of the party. After Praja Rajyam was merged with the Congress, Yuva Rajyam was disbanded but Ravitej remained good friends with Pawan Kalyan. 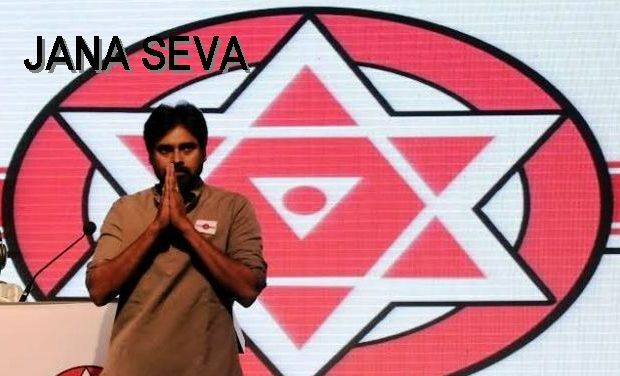 “He is a service-oriented person and his ideologies match Pawan Kalyan’s. They have been discussing the problems in the system, social causes and what they can do for the people and how to change the society. Raju also knows about the circumstances in the Telangana region. He is a good writer, thinker and a philosopher,” says a close aide of Pawan Kalyan. When Pawan decided to write a book about his ideologies and thoughts to change society, Ravitej helped him a lot. Ravitej, who hails from Jammikunta of Karimnagar district from a poor family, had started his career at the age of 16 in 1988 as a part-time waiter at a function hall. Today, he works in the field of cross-cultural awareness and competence. He trains, speaks, coaches and advises internationally. He also writes books for children and young people and biographies and on philosophy. In 2002, he had started a non-profit trust called Inspire India.